I hate to waste food. There are days when you have many different ingredients that are not enough to make a single dish, but can come together to create something simple and delicious. This salad was the result of such an effort! 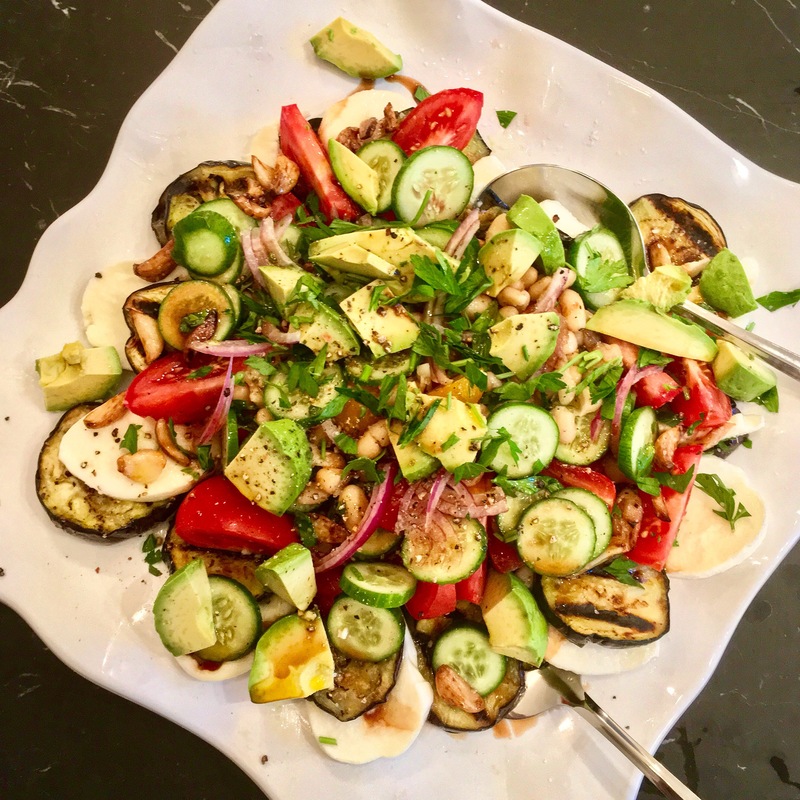 I had 2 baby eggplants in the fridge which was the birth of this salad that ended up being so flavorful and a fresh on a hot summer night.